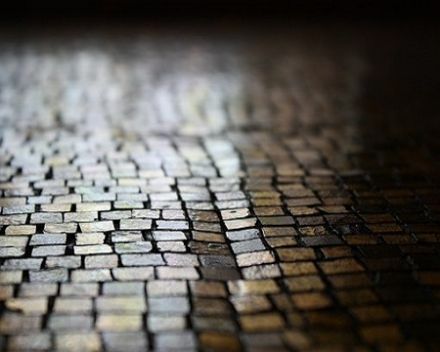 The most frustrating challenge in answering Excel RFPs is not knowing if or what restrictions have been placed on the RFP answer cells and having to rely on Trial-and-Error. Is there any way to discover the criteria I have to meet BEFORE I insert the RFP answer? 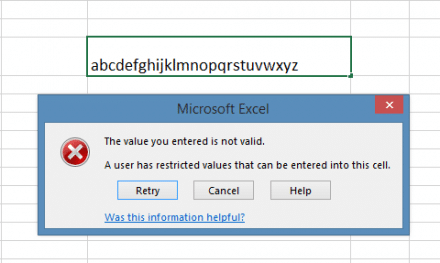 Unfortunately there is no simple way to inspect an Excel RFP using Excel alone. Unless the RFP Issuer is kind enough to provide this information in the RFP question or instructions for that cell, you must discover these requirements cell-by-cell, either by reading a tip when the cell is selected or receiving an error message when the requirement is not met. However, Expedience is pleased to announce a limited preview release of a new Excel RFP tool, called the Excel RFP Inspector that will help proposal writers analyze these data restrictions BEFORE beginning the work or constructing responses. Read on for more information on Excel RFP data restrictions and request Expedience Excel RFP Inspector. Excel RFP’s often come with detailed restrictions seldom seen in Word based proposals: such as responses selected from lists are limited to a specific number of characters. 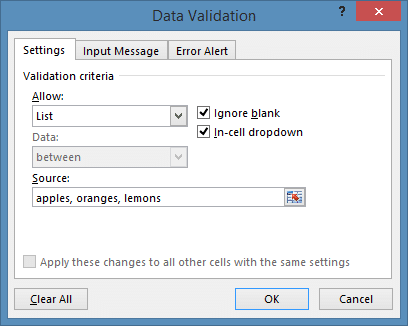 Here is an insider’s look at how these restrictions get applied to an Excel RFP. 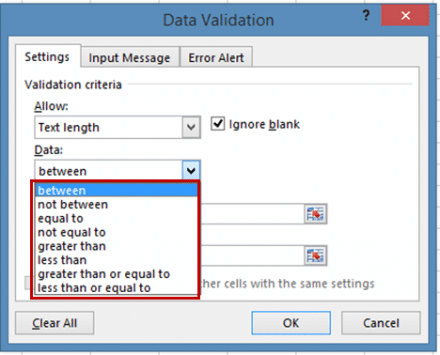 A common method of controlling the type and length of answers inserted in an Excel RFP is the use of data validation. 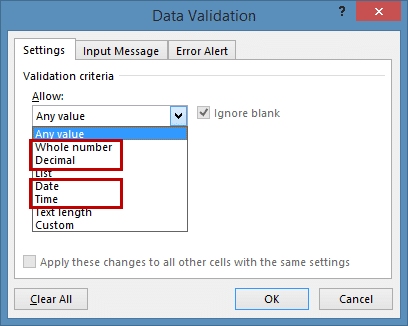 You will find the ‘Data Validation’ function on Excel’s ‘Data’ tab. 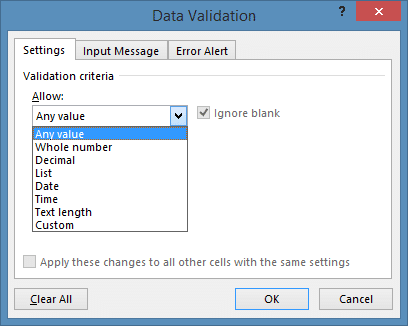 ‘Data Validation’ means that Excel will ‘validate’ that the answer entered into a cell meets the requirements you specify. You can specify that the answer be a type of information: such as Whole Number; Decimal; Date, or Time. 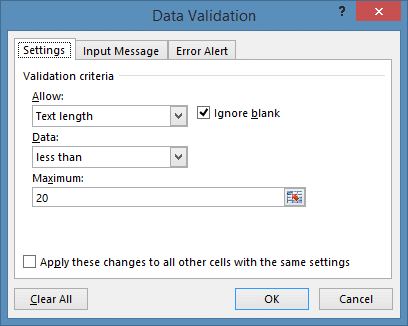 How can you tell what data restrictions are placed on an Excel RFP before you start entering answers? 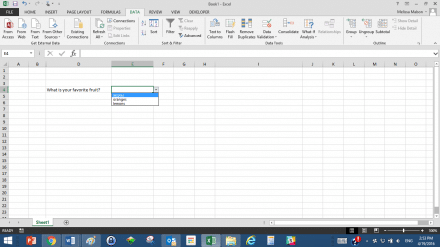 As mentioned before, there is no simple way to inspect an Excel RFP using Excel alone. Unless the RFP Issuer provides this information to you in the RFP question or instructions for that cell, you must discover these requirements cell-by-cell, often by trial and error. Visit The Expedience RFP Inspector free tools page to request your copy of the RFP Inspector tool.